We recently picked a winner in the Write Your Own Story competition. Inonge Malumo was selected as the winner, and this amazing mother-of-one simply blew us away with her entry! In the competition, entrants receive a short paragraph which forms part of a story, and we asked our fans to complete the story and submit it to stand a chance of winning R7 500 towards their studies, or a Samsung Galaxy Tab valued at the same amount. We caught up with Inonge to find out more about her skilful story-writing and which prize she would choose. The story you wrote in our competition is simply amazing! It’s clear that you have a gift and passion for writing – where did your love for writing begin? I think I have always had a love for words! I come from a different generation – I’m almost 40 – and I didn’t grow up with the distraction of cellphones and satellite TV. My parents passed on the love of reading and words to me, I loved primary school and at the age of eight I started writing stories and poems. All my writing has an element of truth to it and it all stems from a deep love of books from early on. I am working as a corporate writer, working in corporate communications - all my working life I have been writing! My desire has always been to be a children’s author, because I love kids & books. I studied journalism at Rhodes, which led to my current career. I decided to go into broadcasting & communications, but finally settled into the corporate communications space. How would you like to write your own story for your own future? Writing makes me happy, but I would be happier and complete if given the opportunity to write for children – I believe it’s my calling & passion and I don’t want to waste much more time doing anything else. I want my story to have some sort of value, because not everything we read today has value in it. I’d like people to be moved by my words and have something to take away with them from what I have written. There are a lot of people who think they’ll accomplish their dreams at “some point” and then they leave this earth and that “some point” never comes. Talent is given to you for a reason - it might take a lifetime to achieve your dream, but you should make a start today and never stop trying! 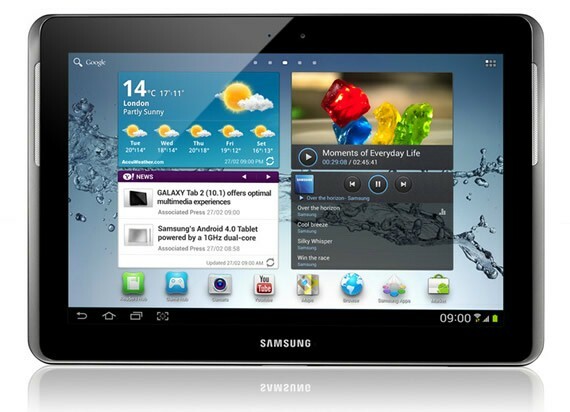 You had a choice between a bursary and a Galaxy Tab – which one did you choose and why? I initially chose the bursary because I wanted to enrol for a creative writing course. Unfortunately my Blackberry was stolen, so I decided to take the Samsung Galaxy tablet, to help me do research and work from home if I need to. It will definitely help bring stability into my life again. I also want to take my time to research which course is the best instead of rushing into a decision. The tablet will also assist in enhancing my 9 year old daughters education and learning. She will be able to use it to assist in her school projects and homework, while I cook and clean and ultimately easing the pressure as I am a single parent. See below for Inonge’s winning entry in the Write Your Own Story competition. He sat outside his nephew's school, waiting as usual for the little boy to come running out so they could walk home together. As he sat there, a lonesome piece of paper fluttered past, creating a sense of litter in the tidy environment. Themba picked it up and noticing it was relatively clean, pulled out the pencil from his back pocket and began to sketch a picture of five year-old Thulani, hoping to finish it before the school bell rang. As he sat sketching, the noise of his surroundings made him look up at the people around him there was Mama Sindi who sat frying legwinya, singing her church songs in a low, melodic voice. To the right was Sizwe who washed cars outside the school, perpetually joking with anyone who passed by and never without a smile on his sun-baked face. Sizwe not only washed cars, he also fixed them and invariably some broken-down vehicle or other would be in the near vicinity, awaiting his attention. To the left was the stray dog which roamed the area and seemed to like being around the school - perhaps hoping to catch a crumb or two from a child’s lunchbox or be thrown a scrap by Mama Sindi at the end of the day. Everyone called the dog Zozo, although no one knew why. Themba sketched it all, becoming more and more fascinated as he recreated his surroundings on the paper, adding random characters who happened to walk by. A voice behind him suddenly broke his concentration, making him look up hurriedly. A man stood there entranced, murmuring softly and reaching out for the piece of paper. Themba hesitantly handed it over, unsure what to say or think. A minute passed, or perhaps five minutes, and then the stranger handed the paper back and looked searchingly at Themba, who was now a little unsure what to make of the unexpected company. “Young man”, began the stranger, “do you realise how enormously talented you are? I have never seen such beautiful and compelling work. Who do you draw for, or are you a student artist?” Themba shuffled his feet nervously, unable to stop a smile from forming on his young face. He greeted the stranger politely before clearing his throat. In the distance, the school bell rang and the shrieks of children could be heard. His eyes alive with excitement, Phil smiled broadly at Themba before walking off into the school in the direction of Principal Hlatshwayo’s office. Themba took out the card and gazed at it. Somehow, right there, he knew his life had changed forever.